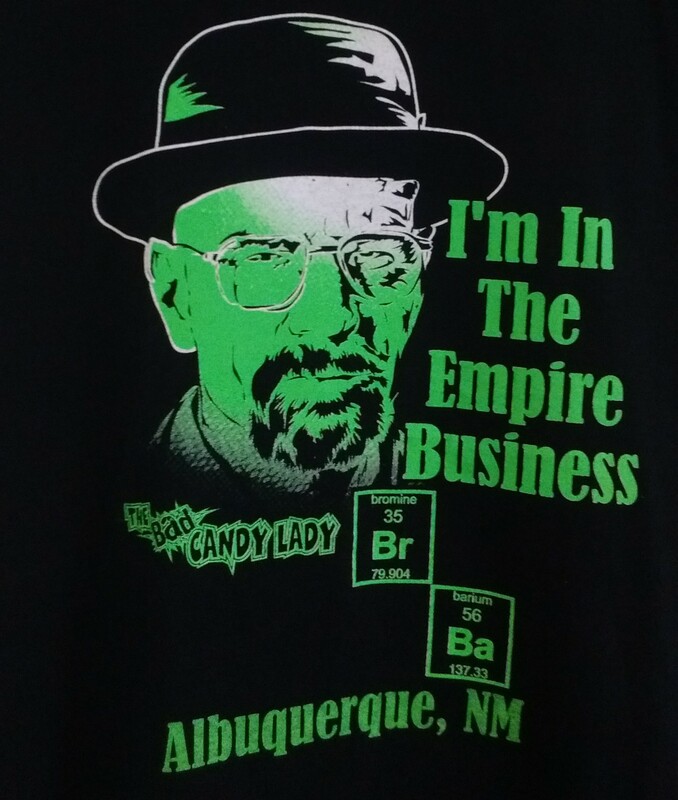 In The Empire Business T-shirt is expertly and exclusively designed for the Candy Lady. They are made of 6.1 oz., 100% preshrunk cotton with a jersey knit. Screen print is professionally printed entirely in Albuquerque, NM by local craftspeople. Color and print are durable and long lasting.